A perfect introduction to Argentina’s most emblematic areas and natural treasures. We visit Buenos Aires, the so-called Paris of South America, stroll its wide avenues and charming pedestrian boulevards while learning about its fascinating history; at night we attend a genuine tango show in a traditional and intimate tangueria. Then we move south, to the mighty Patagonia. We admire huge colonies of penguins, sea lions, sea elephants, marine birds and even whales in season. 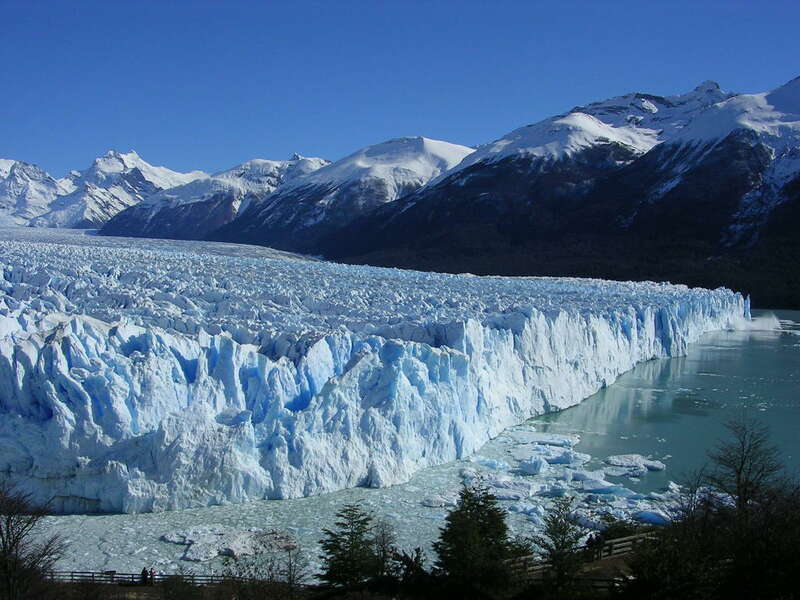 In El Calafate we get up close with Perito Moreno and Upsala Glaciers. Finally we travel to the border with Brazil to admire the wondrous spectacle of Iguazu Falls. After clearing customs and immigration, proceed to the reception area, where our guide will be holding a board with your name on it. 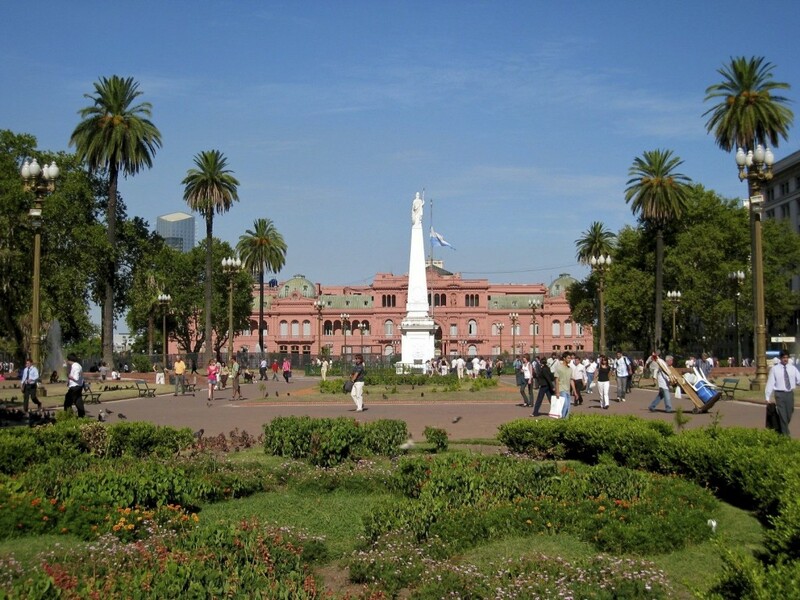 You will be greeted with a “Bienvenidos a Argentina” and transferred to your hotel. 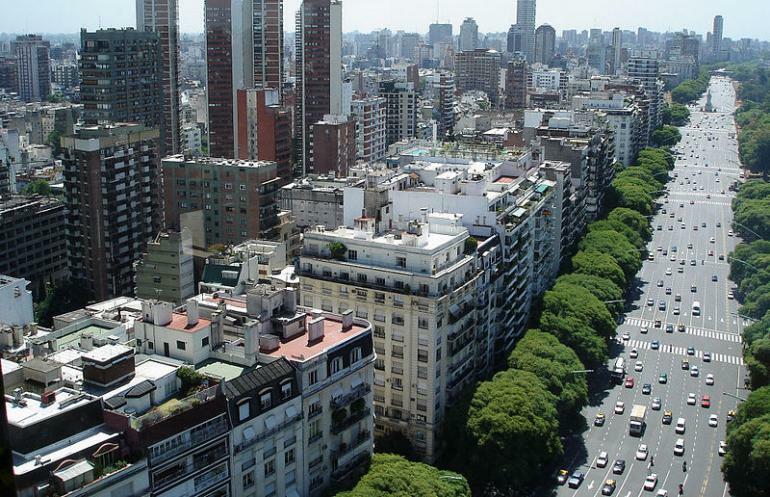 The rest of the day is free to rest and relax after the long haul flight and start exploring Buenos Aires on your own. This morning, meet your guide for a comprehensive tour around some of Buenos Aires’ most emblematic neighborhoods, including Plaza de Mayo, San Telmo, the oldest district in the city, colorful Boca, or historic Recoleta. In the evening, attend a fabulous tango show in one of the best venues in the world, rounded up with a delightful dinner featuring traditional dishes and excellent Argentinean wines. People come to Central Patagonia to watch wildlife, lots of wildlife at close range. And that is what you will do straight off the plane. From Trelew, the most important commercial center in the region, travel southwards for about two hours until reaching Punta Tombo. 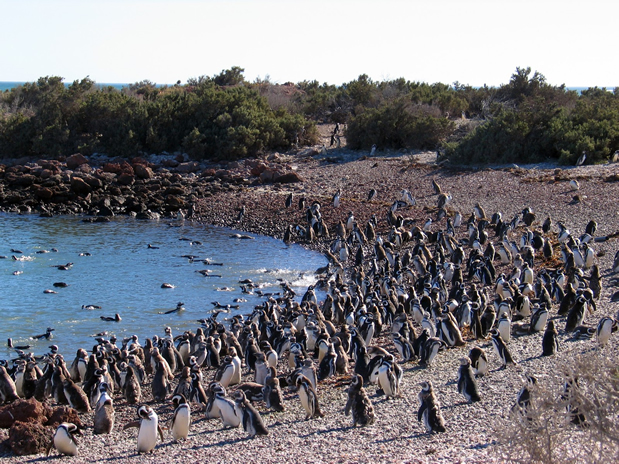 The spectacle of 700,000 Magellan Penguins from your prime spot at the top of the coastal cliff is too wondrous to be described. Then, still stunned by the size of the colony, follow our guide down the cliff and start walking along marked trails on the beach, among a sea of penguins. Indifferent to your presence they will continue with their daily routines: hatching, feeding and caring for the newborns, fixing their plumage and bathing in the blue waters of the Atlantic. 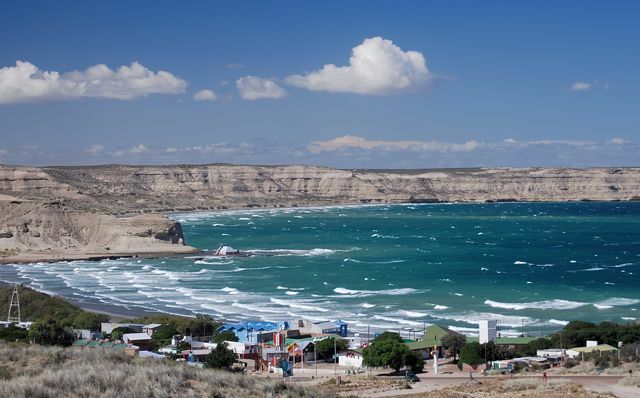 In the late afternoon we continue to Puerto Madryn for overnight accommodations. Our morning explorations bring us to Puerto Piramide, a small fishing and tourist village and the only settlement in the Valdes Peninsula. From June to December, there is the possibility to board a special boat and depart in search of Southern Right Whales, who congregate in the area during their breeding season. Back in Puerto Piramide, we resume our overland exploration around the peninsula, eager to observe more fascinating creatures at close range. From a natural lookout we observe a colony of sea lions at Punta Piramide before continuing to Punta Delgada, where we visit the old lighthouse under the attentive watch of a colony of sea elephants. At Caleta Valdes we meet a colony of elephant seals as well as other regulars such as flamingos and guanacos. In Punta Norte we visit the most important elephant seal reserve in the hemisphere. There is also a big colony of sea lions and killer whales are regularly spotted. On the way back we drive through the inner part of the peninsula with the possibility of observing other mammals such as foxes, hares, guanacos, skunks and a large variety of birds. This morning depart for El Calafate, a quaint town surrounded by small farms and crystalline lagoons, which serves as the gateway to the impressive Glaciers National Park. 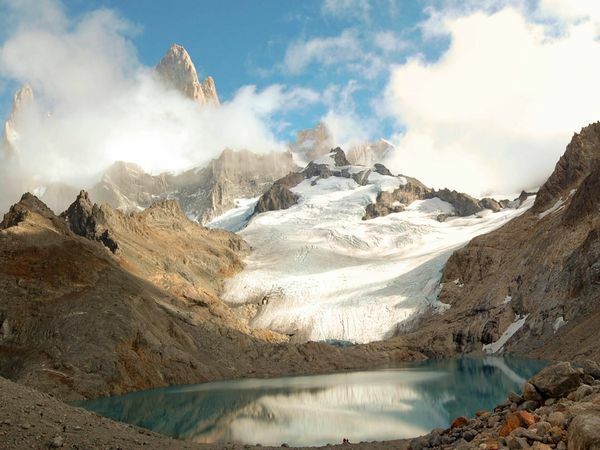 The park protects a vast area covered by glacier tongues coming down from the Southern Patagonia Ice Cap. The 47 plus glaciers flow into the Argentino and Viedma Lakes creating a magnificent backdrop of ice tongues and turquoise water lakes crowned by snow-capped mountains. The rest of the day is free to walk around the town or head out on a horseback riding excursion. Early this morning, our guide will pick you up at your hotel and transfer you to Puerto Bandera, on the shores of the lake. Once there, you will board a catamaran and start navigating towards Upsala, the largest of the 13 glaciers that make up Los Glaciares National Park. You will sail along huge blocks of ice floating adrift, a clear indicator that you are very close to your final destination. Finally reach the walls of the glacier, an endless mass of ice of an intense white color that reaches out to the line of the horizon. After some time at the glacier, the boat heads for Cristina Bay, where you will disembark and depart on Unimogs (special vehicles) towards the Upsala Lookout Point for an outstanding view of the bay. Return to Estancia Cristina, an Argentinean traditional ranch, where you will be treated to a succulent lunch featuring Patagonian lamb barbecue, home made breads and other local specialties. After lunch, an optional walk around the area will unveil the history and legends of the British pioneers and the hardships they had to endure in this inhospitable land at the beginning of the 20th century. 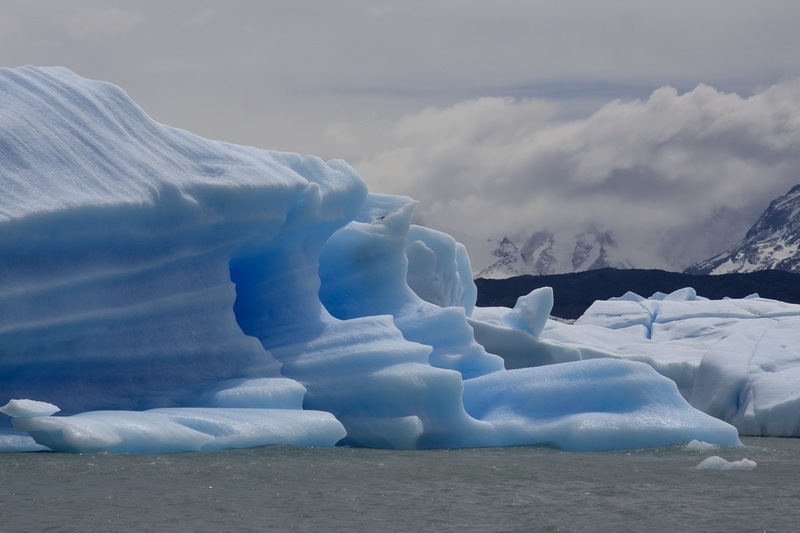 In the evening, board the catamaran and return to El Calafate in reverse order. 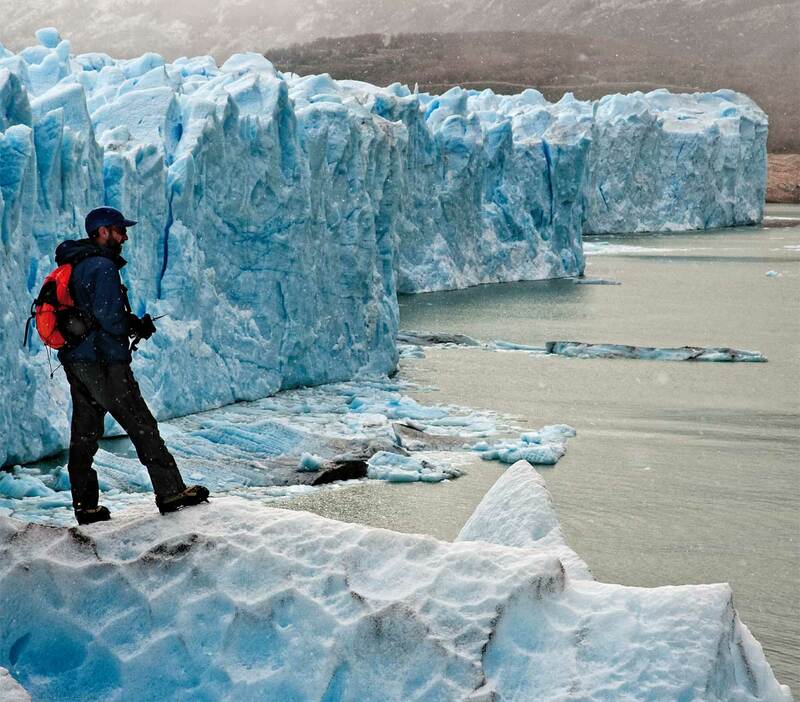 The sight of a living glacier is an unforgettable experience very few people will ever witness. Perito Moreno, one of the most charismatic symbols of Patagonia, has been “crawling” for thousands of years along the shores of magnificent Lake Argentino. The glacier is constantly growing and at any time during the year offers the breathtaking spectacle of the calving of huge chunks of ice that plunge into the waters of the lake with a thunderous splash. In the company of our expert guide, you will walk along special walkways on the peninsula, which afford frontal views and fabulous photo opportunities of the advancing giant. Depending on your departing flight you may enjoy some free time to browse the local shops, exchange tales with other adventurers over a cup of hot chocolate or walk around the quiet streets. Then we travel back to the capital city. 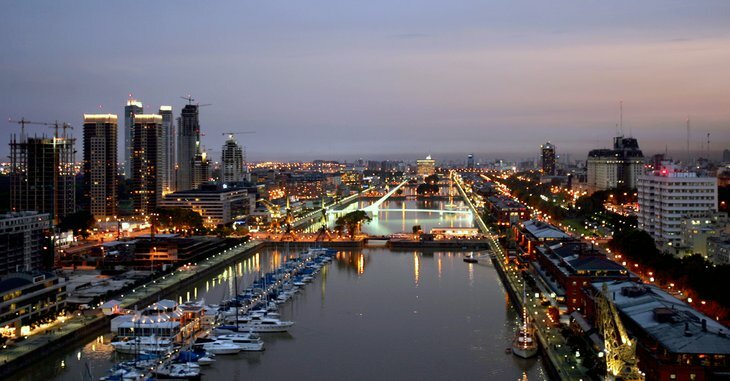 This evening, we recommend you stop by Puerto Madero, dine on one of the trendy restaurants or you may head for Corrientes Street and attend a show or play in the numerous theaters. Iguassu is one of the most impressive natural monuments in the Americas. The roar and grandiosity of the falls contrasts with the tranquility of the surrounding national park, where coatimundis and other small mammals ramble at ease. The spectacle of almost 300 falls precipitating over the Iguazu River forming a myriad of rainbows is a memory to be cherished forever. Upon arrival in Puerto Iguazu, you will be transferred to the Sheraton Hotel, a beautiful property with commanding views of the famous falls. This afternoon, in the company of our local guide, walk along the numerous walkways and bridges with a chance to observe the myriad birds and butterflies that abound in the lush surroundings. After admiring the spectacular Bozetti and San Martin Falls at close range, board a picturesque train for a 30-minute ride through the forest. At the end of the trail is the belvedere overlooking the famous Devil’s Gorge, a thunderous, most impressive fall, which was immortalized in the movie “The Mission”. Free morning to continue exploring the area on your own. We recommend wrapping up your stay with a thrilling boat tour to the foot of the falls or a fascinating helicopter ride over Iguassu National Park. In the afternoon, depart for the airport for your flight back home via Buenos Aires or extend your vacation with a stay in Rio de Janeiro, the Marvelous City.